This article was first published by Global Research in March 2016. Dr. Mark Carney, Governor of the Bank of England is Goldman Sachs’ Trojan Horse. The lucrative manipulation of financial markets including currency markets is a multibillion undertaking. With inside information on Central Bank monetary policy in both Frankfurt and London, Brexit is a « Silver Platter » for the institutional speculators. Carney intimated that « financial instability » and « poor economic outcomes » are associated with the Brexit process: a rather unsubtle message to investors, brokers as well as speculators. He also warned MPs that Brexit could lead to an exodus of banks and financial institutions from the City of London. « [There is no] blanket assurance that there would not be issues in the short term with respect to financial stability and that potential reduction in financial stability could be associated – and normally would be associated – with poor economic outcomes, as we have seen in the past ». The governor of the Bank of England Mark Carney (image right) is a former official of Goldman Sachs, the World’s foremost « institutional speculator ». He spent thirteen years with Goldman before heading the Bank of Canada. 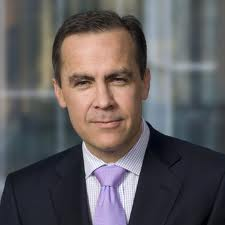 At the time of his 2013 appointment to the Bank of England, he was not a citizen of the United Kingdom: Mark Carney was the first foreigner to occupy that position since the founding of the Governor and Company of the Bank of England in 1694. Were there powerful interests involved in the recruitment of the Governor of the BoE? Who was behind Carney’s candidacy? At the time of his appointment, the issue of U.K. « sovereignty » and Carney’s citizenship were hushed up by the British media. Carney was fully aware that an « authoritative statement » pertaining to « financial stability » would have an immediate impact on financial markets. On whose behalf was he acting when he made those statements? In February, Goldman Sachs warned that in the case of Brexit, the pound sterling « could lose 20 per cent of its value » Mark Carney’s statements at the House of Commons not only point in the same direction, they also provide legitimacy and « credibility » to Goldman’s assessment. As an institutional speculator, Goldman’s intent is to influence expectations regarding financial markets (backed by authoritative statements from the Bank of England). Carney dismissed the claims of Goldman in early February. But now he supports them. Where do Mark Carney’s statements originate, from the Bank of England or from Goldman Sachs, his former employer? Goldman is known to be the World’s foremost « institutional speculator ». Foreknowledge of statements and decisions by central banks are often used by financial institutions in speculative operations. Inside knowledge and connections are part of this process, they are the « bread and butter » of the « institutional speculator ». The important question which the British media has not addressed: what is the relationship between Mark Carney and Goldman Sachs. Is there a Trojan Horse within the Bank of England with Goldman Sachs sitting on the inside? While Carney was appointed by Her Majesty, unofficially, he still has “links” to Goldman Sachs. Is he in conflict of interest? Next time there’s a financial meltdown, your money could be rescuing Goldman Sachs. Moreover, several key senior positions within the Bank of England are held by former Goldman officials. Mark Carney was appointed in 2013. The following year (2014), Dr. Ben Broadbent, a Senior Economist for Goldman Sachs was appointed Deputy Governor in charge of Monetary Policy. Bankers from Goldman are strewn across key policy-making arenas across the world like no other financial institution. As well as the Governor of the Bank of England, his deputy Ben Broadbent is ex Goldman, as were two previous Monetary Policy Committee members, David Walton and Sushil Wadhwani. Across the Channel, European Central Bank chief Mario Draghi is a Goldman man, while in the US, Goldmanites make up a quarter of the Federal Reserve system’s regional presidents. (Ibid). Central Banks are complicit in the manipulation of financial markets including stock markets, commodities, gold and currency markets, not to mention the oil and energy markets which have been the object of a carefully engineered “pump and dump” speculative onslaught. 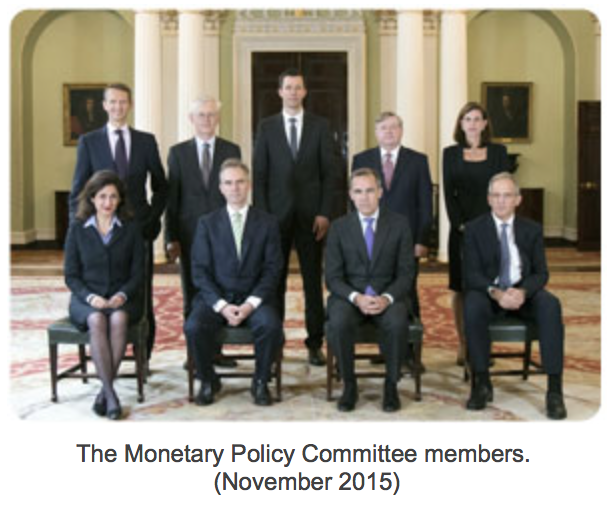 Who controls the central banks? Monetary policy does not serve the public interest.